We’re big fans of publisher Nosy Crow and their lovely animal apps. In fact, some of their apps have made it into our Best Apps list: Apps for One-Year-Olds and Apps for Two-Year-Olds. However my favorite of theirs remain Animal SnApp: Farm, a lovely collection of animal stories illustrated by Axel Scheffler. If you happen to share my liking for the app, today’s app pick might interest you. Called Axcel Scheffler’s Flip Flap Farm, it is the follow-up to Animal SnApp: Farm. Inspired by flip flap books, Axel Scheffler’s Flip Flap Farm lets kids match the top and bottom halves of two animal illustrations to create an entirely new creature. For example, they could cross a goat with the bottom half of a turkey to create a “gurkey”, a pig with a squirrel to make a “pirrel”, a dog and a chicken to see a “dicken”, and so on. If this mechanism sounds familiar, it’s because it was used in Animal SnApp: Farm. But unlike Animal SnApp: Farm, kids don’t have to make a correct match in Axel Scheffler’s Flip Flap Farm to enjoy a story. Any hybrid will yield a unique name and a rhyming poem about the combined animal’s characteristics. Kids can also tap on each half of the animal to listen to the sound that it makes. There are currently 121 possible combinations available, all featuring the rich illustrations of Axel Scheffler. Kids will find some familiar animals from Animal SnApp: Farm plus several new ones like squirrel and rabbit. Axel Scheffler’s Flip Flap Farm comes with a choice of two reading modes: Read and Play or Read by Myself. The former features a lovely narration provided by a child with a British accent. Axel Scheffler’s Flip Flap Farm is a fun book which can be enjoyed by kids ages 3+. 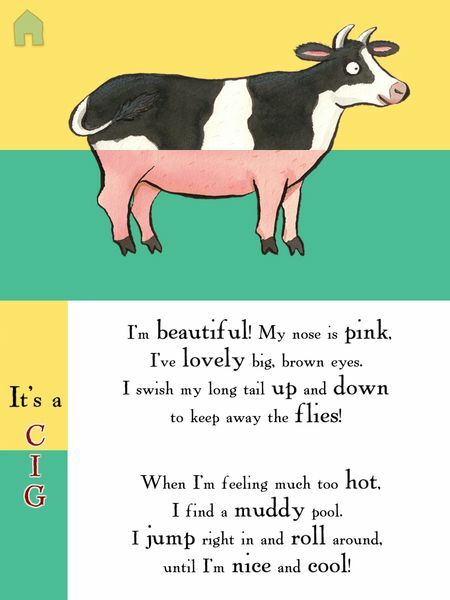 The rhyming texts are claimed to be developed by storytelling experts, and very child friendly. The app also offers text highlighting to support early readers. For those who prefer physical books, Axel Scheffler’s Flip Flap Farm is also available in a print book version. Currently the book is only available on UK-based bookseller Waterstones, however it is scheduled to arrive on Amazon early next year. You can preorder the book on Amazon here . As a big fan of Animal SnApp: Farm, it is not much of a surprise that I liked Axel Scheffler’s Flip Flap Farm. The app is so simple, but surprisingly fun. It was always a delight to swipe through Alex Scheffler’s rich illustrations and see what silly animal hybrid the app would show next. 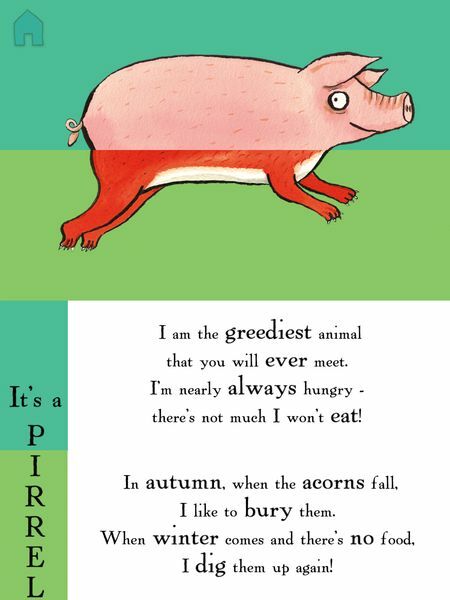 I also enjoyed reading the poem that accompanies each hybrid, and found it a great way to get kids learning to describe their favorite animals. The child narrator is particularly charming. Finally, I love how the app is so intuitive and child friendly. Navigating through the app was a breeze, and there was no trouble in working out what to do. The app also has neither ads nor in-app purchases. External links are protected from little hands by way of gesture lock. Alex Scheffler’s Flip Flap Farm is a delightful app that will keep your juniors busy making silly animal matches for hours. The simple and intuitive app features rich artwork by famed children’s book illustrator Axel Scheffler, as well as rhyming poems. Child narration and word highlighting are provided to support early readers. I would recommend the app for kids ages 3+.